Over the course of my involvement  in my Indonesian company’s website, the question of how to design a website to deal with slow and bad network links presented itself over several occasions as most of our users surf either over a mobile connection or a similarly dimensioned fixed line. While optimizing design and resources for good response times has been covered  extensively, it still remains interesting to see how exactly network attributes affect speed and latency in HTTP. Attributes of a network affecting its performance is it’s capacity, latency and error rate. In this post I am going to focus on the impact of a network link’s error rate as measured in the percentage of packets lost on the time it takes to request and retrieve a network resource over HTTP such as an image or HTML file. 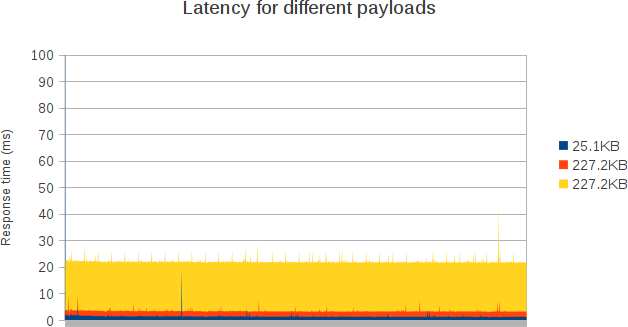 As we’ll see, even moderate packet loss leads to a greatly increased response time and hence latency. This delay is caused by the lost packets, which are retransmitted by the TCP stack only after a specific timeout has elapsed. The greater the timeout, the longer it takes for the lost packet to be detected and retransmitted. 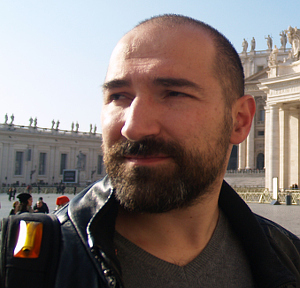 The following tests were conducted by sequentially retrieving three files of different sizes (996B, 25,1KB and 227,2KB) from a tomcat 6 webserver over a 100 MBit Ethernet connection on an Ubuntu 64bit installation. The tc command was used to induce random, artificial packet loss in the underlying network connection . All tests request the three files 10.000 times sequentially from the webserver and record the individual times, the total times and the averages for these requests. 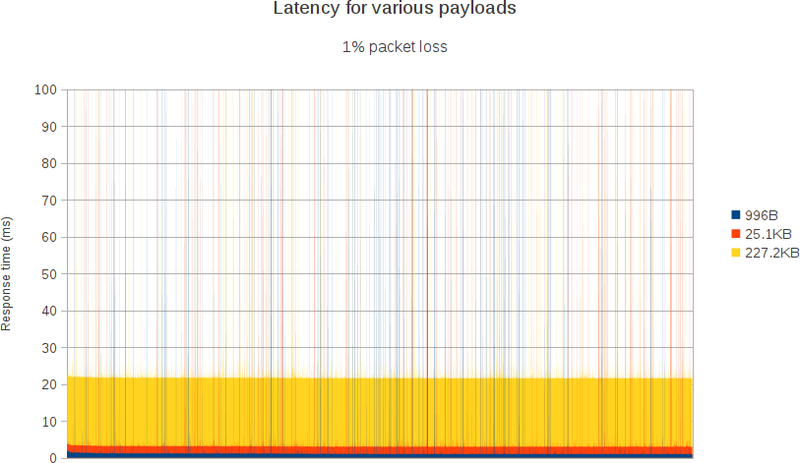 The second run was conducted with a 0.1% packet loss but didn’t produce significantly different results. Even a low, random, packet loss greatly increases the time it takes for a browser to request and load a resource over the web. 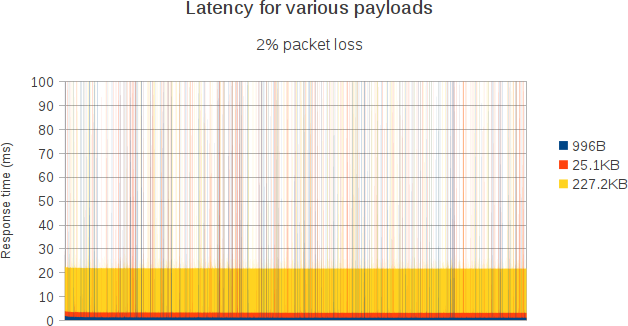 The charts displayed are capped at 100ms, however the test data shows that as packet loss increases, the frequency of requests with abnormal high durations increases alongside with the maximum delay for these requests. 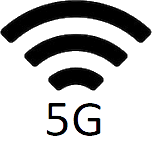 In line with expectations, the time to lead for large resources is impacted most by a moderate packet loss. On the other hand a further increase in packet loss does not lead to a similar deterioration of the load time for large resources (11% increase for double packet loss) as for small resources (33% increase for double packet loss). As we’ve seen, even moderate packet loss introduces arbitrary delays in the time required to load resources from the web. While it is important to keep resources small in order to avoid fragmentation of the network payloads and delays due to retransmission, combining multiple resources into fewer, larger ones (such as with image spriting) yields quantifiable benefits.